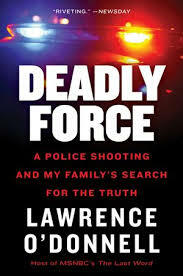 Use of Deadly Force by Law Enforcement Research Papers look at the political, legal, and social side to this debate. Research on deadly force by police officers is difficult to understand because there are so many different opinions and results of studies. Have the writers at Paper Masters clarify the issues and writer your project with insight and professionalism. While most individuals understand that the use of deadly force is sometimes necessary, not every police officer involved shooting is deemed as justified by the courts or the public. To date there is a lack of consensus on why unjustified shootings occur although studies indicate that a lack of proper training and inconsistencies in policies from one department to the next contribute to the use of deadly force when other options are available. Police officers…perform their duties under hazardous conditions and with the vigilant public eye upon them. They are permitted only a margin of error in judgment under conditions that impose high degrees of physical and mental stress. Their general responsibility to preserve peace and enforce the law carries with it the power to arrest and to use force – even deadly force. The question most debated is not whether deadly force is warranted but under what circumstances it should be used. ...force that an actor uses with the purpose of causing, or that the actor should reasonably know creates a substantial risk of causing, death or great bodily harm. This definition includes discharging a weapon in the direction of a vehicle or directly at an individual. Moreover, it includes “bodily injury that creates a high probability of death or causes serious permanent disfigurement”. Although most deadly force incidents involve the use of a weapon, the above definition makes it clear that any act that threatens another person’s life, such as a strangle hold, can be considered as deadly force. Police are authorized to use deadly force when it is reasonable and necessary to achieve a legitimate law enforcement objective. In the context of law enforcement, deadly force is the amount of force that is likely to cause death or serious bodily injury to another person. In the event that the use of deadly force is subsequently determined to be unreasonable or unnecessary, it is considered to be excessive force under the law. As a result, a police officer can be subject to prosecution for the violation of the constitutional rights of the individual against whom excessive force was used in addition to the violation of various state statutes prohibiting the use of excessive force. Because of the stressful nature of police work and the need to make rapid decisions regarding the level of force that is necessary in a situation, police departments approach the issue of the appropriate level of force through both clear policy guidelines and training. While police are permitted to use force as a means of enforcing the law, the level of force that is actually used is evaluated in terms of whether the level of force was reasonably necessary in consideration of all of the circumstances. The policies governing the use of deadly force in police departments encourage officers to use a continuum of force escalation prior to resorting to the use of deadly force. This involves using the least level of force that is necessary to achieve the law enforcement objective. As a result, the use of deadly force by police officers is permissible only in situations where it is reasonable and necessary for the protection of the police officer or for the protection of others from a threat of death or serious physical injury from another. Conversely, if the use of deadly force is not justified if non-deadly force could have been used to achieve the law enforcement objective. The general trend in the United States is to reduce the scope of the authority of the police officer to use deadly force while recognizing that there are situations in which deadly force may be necessary. The Supreme Court established the current constitutional standards for the use of deadly and excessive force in Graham v. Connor, 490 U.S. 286 (1989). In the facts of this case, the petitioner was detained by police after they witnessed him hurriedly leaving a convenience store. Petitioner communicated to the police that he was suffering from an insulin reaction at the time, but they nonetheless handcuffed him while they investigated whether a crime had been committed at the convenience store. Petitioner subsequently sued the police for the use of excessive force. In its decision, the Supreme Court indicated that excessive force doctrine applies to the use of deadly force, and that the objective reasonableness standard should be used to determine if the force was excessive. A claim that the police used excessive force triggers an inquiry based on the Fourth Amendment right to be secure in their persons against unreasonable search and seizure. The Fourth Amendment reasonableness inquiry is based on whether the actions of the police are reasonable in light of all the circumstances, regardless of the motivations of the police. This approach functionally establishes a balance in which the individual’s liberty interests under the Fourth Amendment are outweighed by the government’s interests in the need to enforce laws. Prior to the Graham decision, the courts followed a substantive due process approach in which deadly force was deemed excessive if it was shocking to the conscience. As a result, the test was relatively subjective and depended on the state of mind of the police officer at the time that the force was used. The reasonableness standard was intended to create a greater degree of objectivity in the determination of whether the use of deadly force was warranted. In evaluating the circumstances surrounding the use of deadly force under the rule established in Graham, the courts examine factors such as the apparent danger to the police officer or to others, the severity of the crime that an individual is suspected of, and the degree of resistance to arrest that the suspect is exhibiting. In this evaluation, the court takes the position of a reasonable person who reacts to the apparent danger of the situation, which includes the perception that a suspect is about to use a weapon. As a result, the evaluation of whether the use of deadly force was reasonable does not hinge on whether there was an objective danger or an actual weapon, but rather on whether a reasonable person would believe that there was danger and the intent to use an actual weapon. As a result, the failure of suspects to raise their hands when requested to do so by a police officer can support reasonable probable cause to believe that the suspect is armed and poses a threat to a police officer. Similarly, a suspect reaching for an object that cannot be readily distinguished by the police officer and may be a weapon can be a reasonable basis for the use of deadly force. Police Brutality Cases - Research papers on Police Brutality Cases look into the several notorious cases of police brutality in the United States. Police Code of Ethics - Police Code of Ethics research papers discuss the code of ethics followed by the law enforcement community. Law Enforcement Code of Ethics - Police Ethics research papers discuss the ethical code the police officers must uphold in order to protect and serve. Police Ethics - Use of Deadly Force by Law Enforcement Research Papers look at the political, legal, and social side to this debate. Future of Policing - Research papers on the future of policing delve into the topics of policing in America and discuss the future policing will have after increasing militarization of police forces, and the use of excessive force. Police Brutality - This is a topic suggestion on Police Brutality from Paper Masters. Use this topic or order a custom research paper, written exactly how you need it to be. The Metropolitan Police Act, 1829 - The Metropolitan Police Act, 1829 Research Papers discuss a new law that provided a more efficient police force. Police Patrol - Police Patrol Research Papers discuss a sample order placed that requires two journal articles, and provides specific questions that need to be answered. Search and Seizure - As interpreted by the courts, the right to be protected from unreasonable searches and seizures places severe restrictions on police conduct. Police Corruption research papers explore the corruption in the United States Police Departments. Paper Masters writes custom research papers on Use of Deadly Force by Law Enforcement and look at the political, legal, and social side to this debate.